One of the many factors that help boost a business is employment or what we commonly call as manpower. This is the building block in the structure of a company. In the operations, a work notice is important. It could mean an entry permit for work or a two weeks notice of resignation. 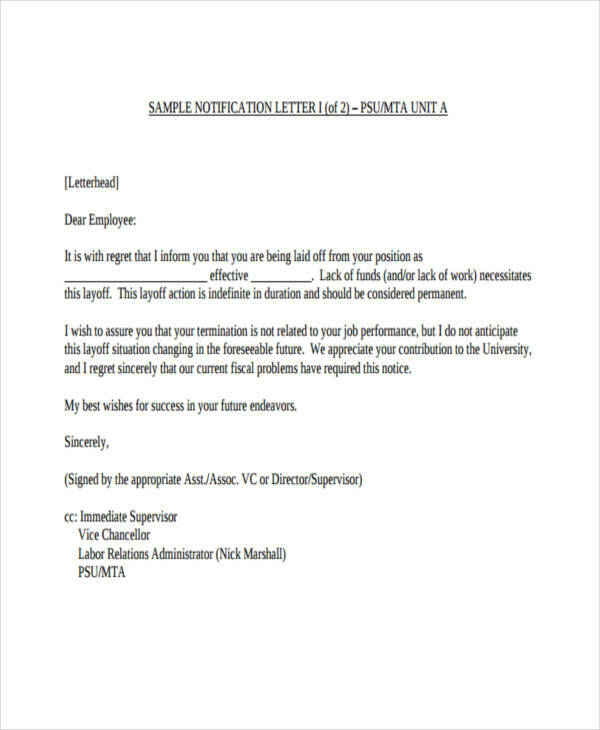 A sample notice is a necessary written document required by the human resources department. It allows them better notice handling and preparation of manpower in case of deficiencies. In this article, we will be discussing what a work notice is and how they are applied in the different fields of business operations. 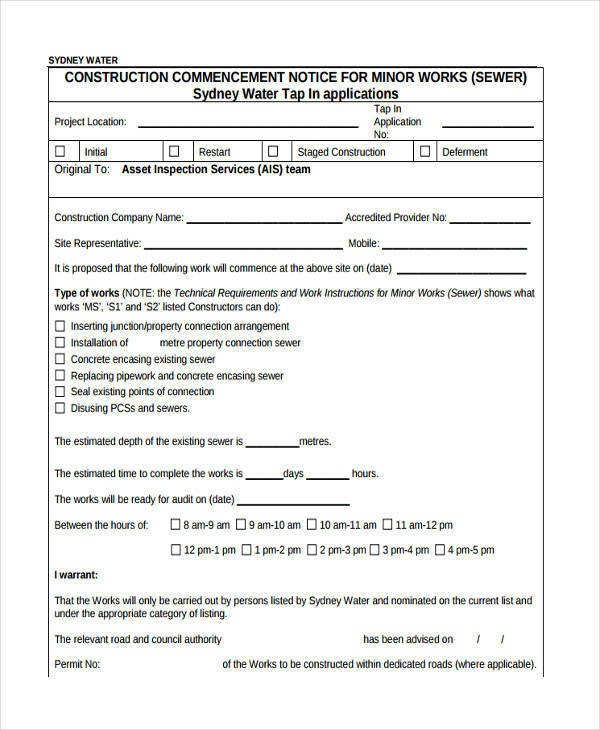 A work notice is a written document that contains any related information in line with work, manpower, or human resources. As a notice, it means it has to be given a head of time. (see notice examples in word) It allows both parties to accomplish any necessary actions and to give ample time for any corrections or adjustments. 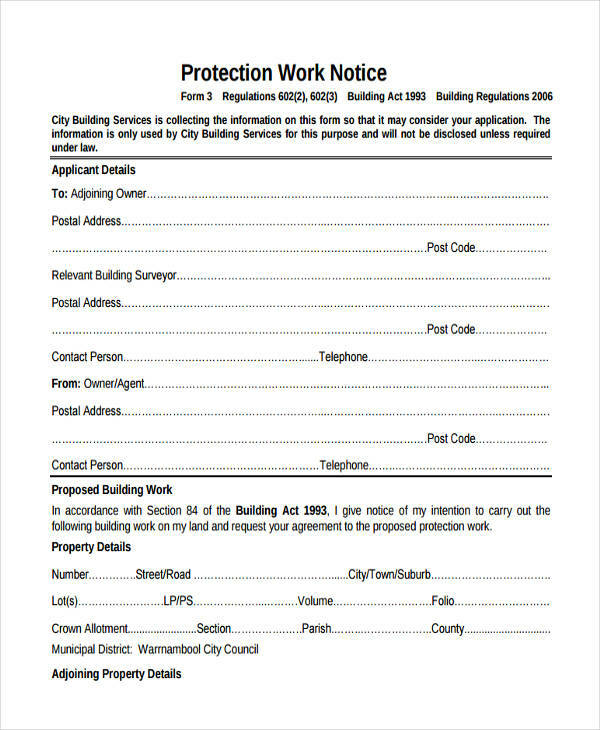 Work notice is commonly used in business although it may be applied in a lot of circumstances. 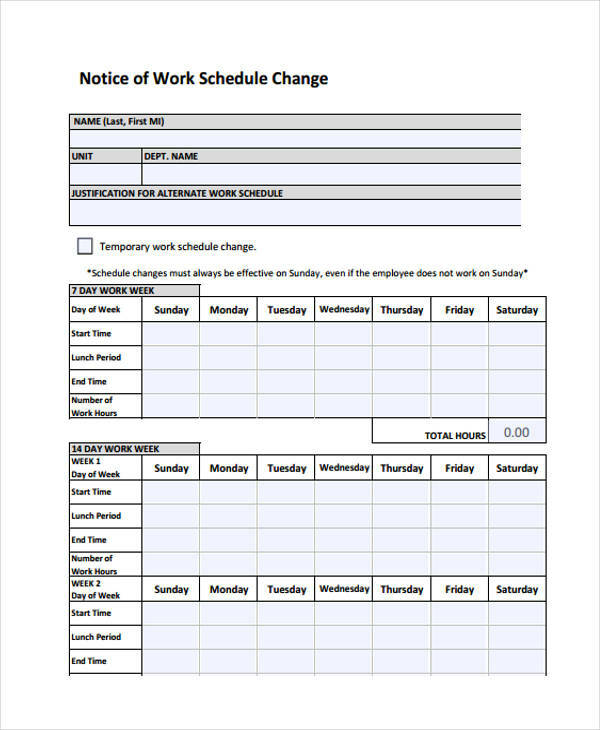 It could be a notice to enter a company premise to do some work, a work resignation notice, or work schedule change. 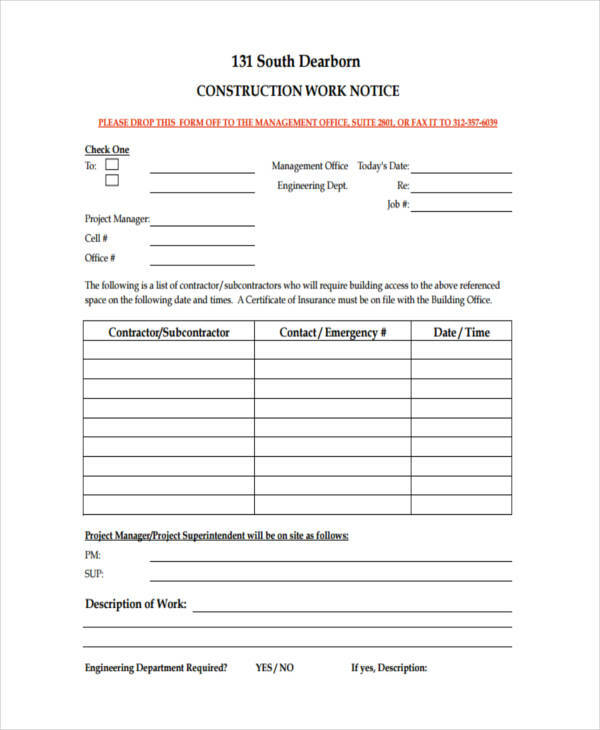 Just like any other notice letter examples, a work notice has its own unique content and style in writing. Here are the steps on how to write a work notice. Write the Date. It is always important to write the date and time of when the notice is written to make sure it follows any rules (if given) on handing out of notices. Indicate your Name and the Recipient. 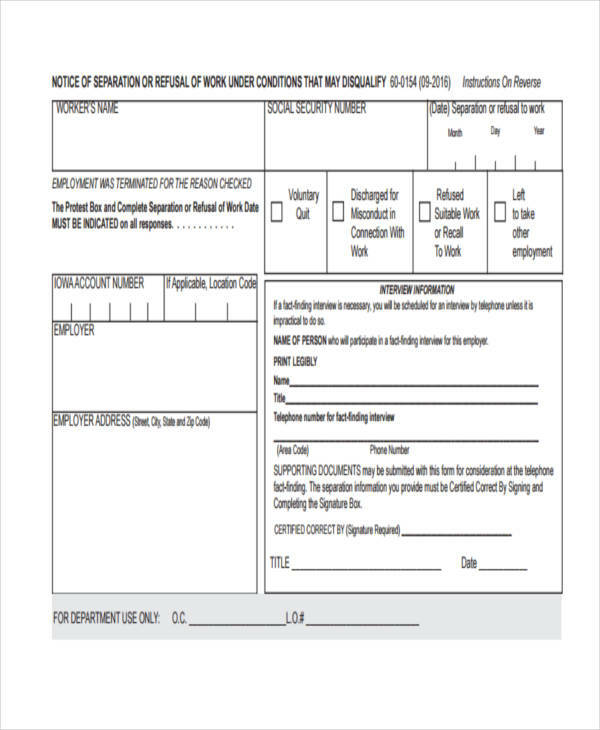 Write your name and the department or the person the notice is to be given. This would ensure you are addressing it to the right people. State your Reasons. Give an explanation why you are writing the notice in pdf. Make sure you include all the important facts and reasons. Affix your Signature. This act of placing your signature validates your work notice. When writing a work notice, there are guidelines to follow. It ranges from the things that you can and cannot write on the notice to the time frame you need to observe when giving it. Here are some of the guidelines you need to observe when writing a work notice. Observe Professionalism. 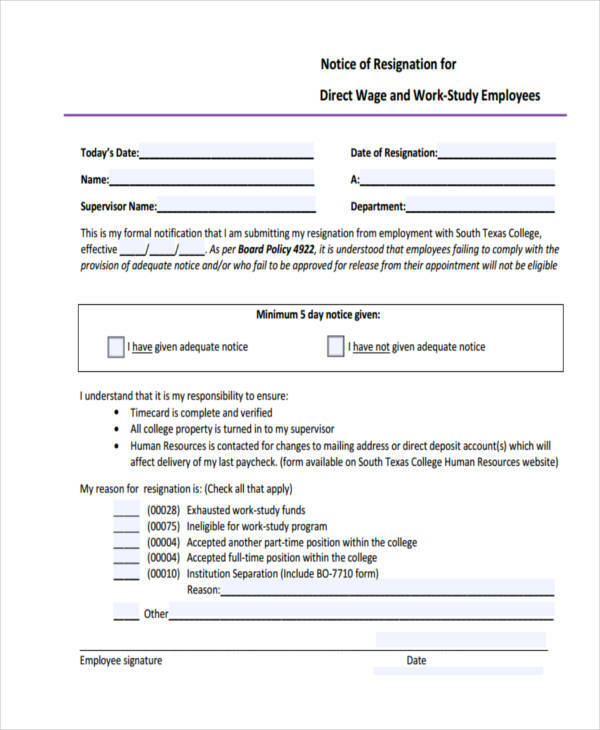 Whether you are writing a work resignation notice or notice of work schedule sample change, be professional. Remember that in business, you have to be polite. Never use offensive and disrespectful words. Make it Brief Yet Concise. Do not use flowery words. Remember that you are not writing a novel. Limit your language to that which is required in the business. Use appropriate language.